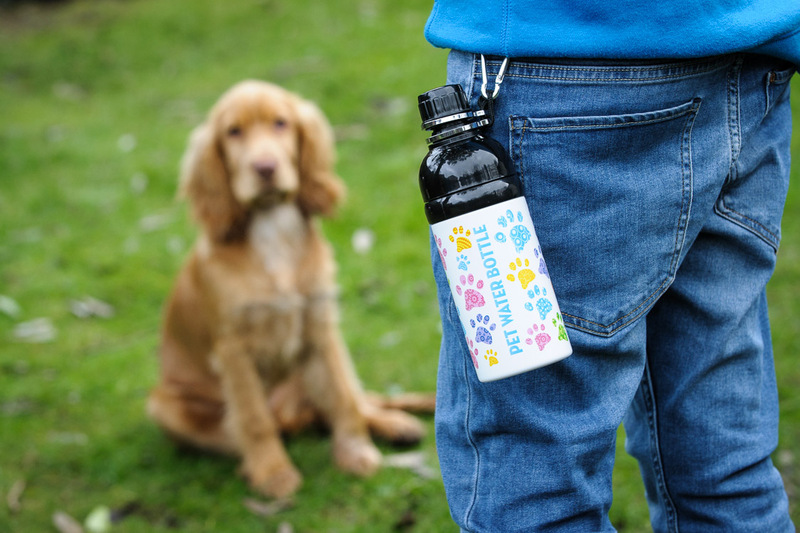 If you’re out on a long walk with your dog, you’ll know how important it is to have some water handy. Up to now, we’ve taken out a bottle of water and Barney’s bowl – all a bit cumbersome. But then we were sent this fabulous water bottle from Long Paws. It dispenses water when you lick it. Or rather, when your dog licks it. So s/he can drink straight from the bottle. No bowls required. It comes in a range of designs and is made from stainless steel and BPA-free plastic. And because it has a screw top, it won’t leak in your bag. The top is also wide enough to pop in a few ice cubes so your water keeps its cool for longer on hot days. How does it work? The nozzle of the bottle contains a ‘floating’ stainless steel ball. When you tip the bottle upside down, the ball is forced to the tip of the nozzle, blocking water from escaping. When you dog licks at the nozzle, the ball is pushed up and a flow of water is released. Clever! Barney got the hang of it straight away. 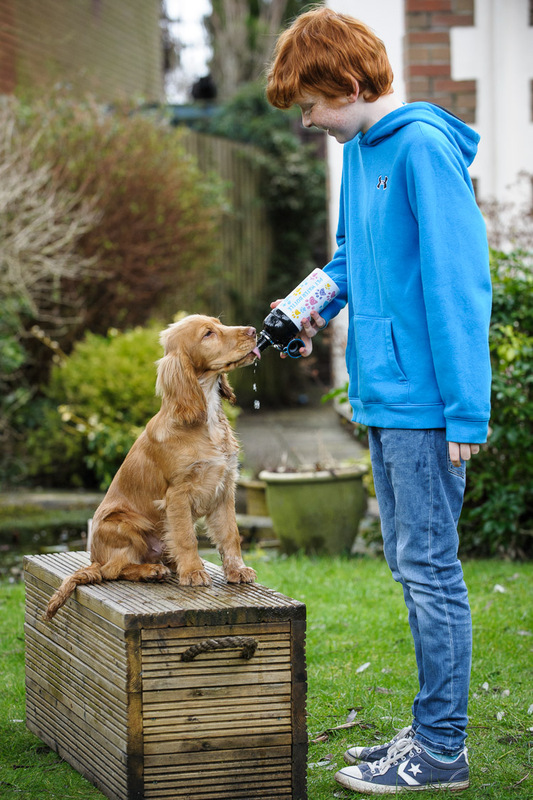 Of course, a lot of water will escape, bypassing your dog’s gob, but they do get to drink a fair amount too. 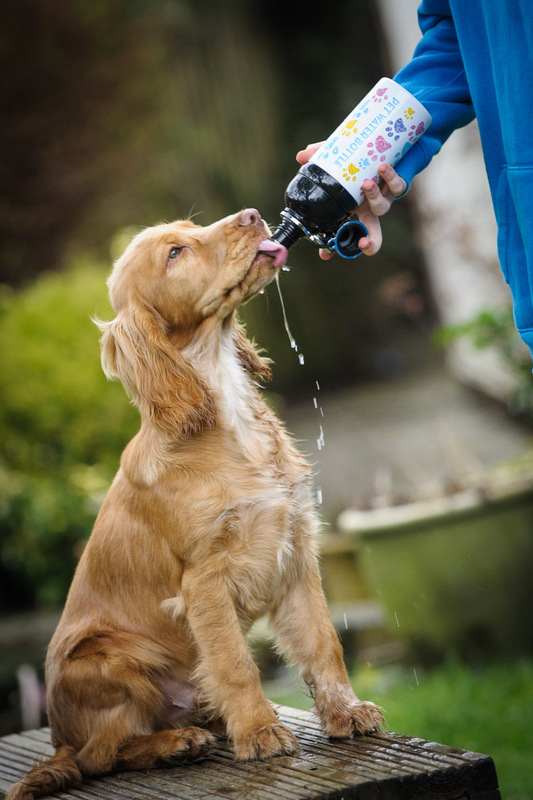 It was certainly a hit with Barney – he likes drinking straight from the bottle, for sure! The bottle comes in a range of designs and sizes – 250ml, 500ml, and 750ml – and prices start at £10.